International anti-mafia stings may have increased in recent months, but Italian organised crime groups constitute a social and economic "cancer" that the world seems to underestimate, experts say, AFP reported. The most high-profile recent operation saw 90 mobsters from the Calabrian 'Ndrangheta mafia arrested in December in six different countries, in raids involving hundreds of police officers. While the notorious Sicilian Cosa Nostra is well known to be present in Australia, Canada and the United States, other Italian mafias have been globalising too -- with Europe Union countries among their top destinations. 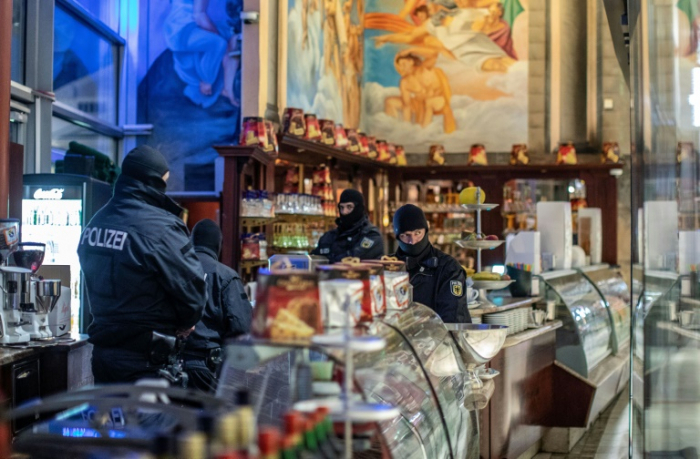 The three main groups -- Cosa Nostra, the Neapolitan Camorra and the 'Ndrangheta -- are "among the most threatening in Europe" because of the global reach of their criminal operations, according to Europol. Their power lies in their control and exploitation of territory and community, including installing allies in administrative positions even in places far from the territories they control, the European police agency said. Italian mafia-hunting expert Cristiano Tomassi cited cases of entire neighbourhoods in European cities which are under the control of organised crime groups, and are having the life strangled out of them. "Why does it seem like nothing's going on in those areas? Because the mafia is in control, but it is not a healthy control, it is like a cancer that progresses. And where there is a cancer there is no more life," Tomassi told AFP. "Petty crime no longer exists, but neither does the healthy economy. It's true that weeds no longer grow, but grass doesn't grow either," said Tomassi, a police colonel and organised crime analyst with anti-mafia investigative authority DIA. The powerful Italian mafias make their money in large-scale drug trafficking and money laundering, as well as currency and goods counterfeiting, and the trafficking of toxic waste. They wreak heavy damage on local and national economies, according to the latest DIA report: They "pollute financial and credit channels, disrupt competition and the markets (and) promote black market activities and tax evasion." In places suffering an economic crisis -- such as Europe -- the mafia infiltrates even more easily, for "whoever brings in new money can initially be seen as a resource," says Tomassi, referring to the mob's "almost unlimited" financial means. Tomassi and his colleagues at the authority's imposing offices on the outskirts of Rome have been forced in recent years to expand their scope beyond Germany, France and Spain to eastern European countries. Assets worth 250 million euros ($280 million) were seized in a recent operation in Romania, where the mafia had got its claws into everything from construction companies to hundreds of apartments and even spas, Tomassi said. "Mafiosi reason like economists: growth rates and development prospects are higher (in Eastern EU countries) even than those in prosperous Germany," he said. Investigators have uncovered mob activity in Slovakia, for example, where the 'Ndrangheta is attempting a favourite mafia pastime -- syphoning off European Union grants, he added. Vast sums are also to be made through illegal gambling, and the mob has been moving its operations in that sector to Austria, the Netherlands Antilles, Panama, Romania and Spain, "where the law is most advantageous in terms of tax". Drawing heavily on DIA expertise, the European Commission set up a new EU taskforce at the end of last year aimed primarily at fighting Italian organised crime groups, as well as Eurasian and Albanian criminal networks. Experts know well that the issues key to understanding the mafia -- the concepts of family, power, respect and territory -- also make their clans difficult to infiltrate. "It's a choice for life. You decide to embrace a lifestyle, an idea, and that's the difference between the mafia and 'simple' organised crime," Tomassi said. "When you're a mafioso, it's forever".